The club championships within the county are set – barring replays – to be concluded this coming weekend. With the dark nights drawing ever closer and the cold starting to bite, that can only mean that it’s time for the various provincial club championships to get underway and the other day Connacht GAA published the full schedule of matches, in football and hurling, coming up within the province. Full details are here. At Senior level the Mayo champions have been drawn to face Sligo’s Tourlestrane in a preliminary round tie. That’s fixed for Enniscrone on Sunday, 4th November, with the winners then playing Leitrim champions Aughawillian in the semi-final the following Sunday at Páirc Seán MacDiarmada in Carrick-on-Shannon. The provincial final takes place a fortnight later (25th November). On the face of it, Ballintubber or Breaffy should fancy their chances of making it to the Connacht final, even if no tie can be taken for granted at club level. 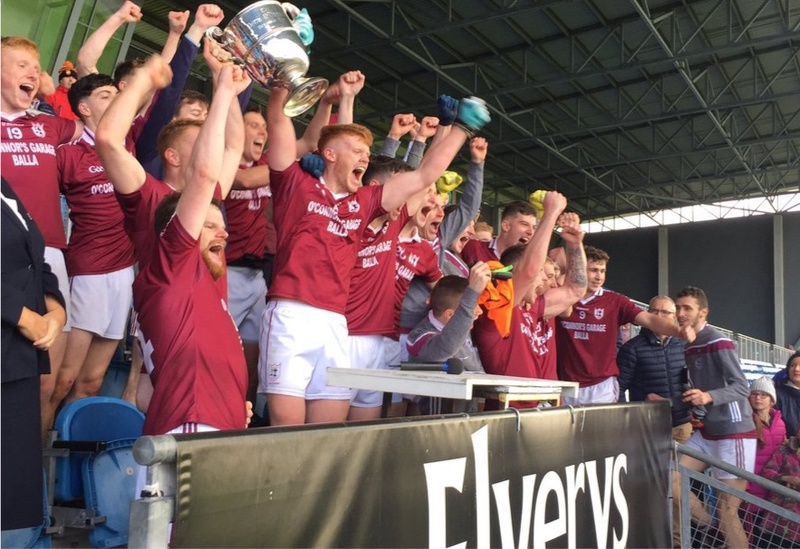 Still, with the Galway champions – which will, almost certainly, be reigning All-Ireland champions Corofin – and Roscommon’s Clann na Gael in the other half you’d have to think that this is a favourable draw from a Mayo perspective. In the Intermediate championship Belmullet or Burrishoole will start at the provincial semi-final stage. There, however, they’re scheduled to play the Galway champions, which will either be An Spidéal or Mícheál Breathnach, with that game fixed for Tuam Stadium on Saturday, 10th November. Nothing easy there. The Connacht IFC final will be held on Sunday, 18th November. The Junior championship also gets going on 10th November and here too the Mayo champions, Balla (that’s them in the photo at the top), start their campaign at the semi-final round. Here they’ll face the winners of the preliminary round tie between Easkey (Sligo) and Glenfarne/Kiltyclogher (Leitrim). This will be an away tie for Balla, with the venue dependent on who emerges to face them on 10th November. The Connacht JFC decider will be played a week later, on Saturday, 17th November. Tooreen are the reigning Connacht Intermediate hurling champions and they begin the defence of their provincial crown with a tough away quarter-final fixture against Roscommon’s Athleague on Sunday, 28th October. If they win that the prize is a trip to London to play St Gabriel’s in Ruislip on the weekend of 9-10th November. The Connacht final is down for decision at Athleague on 18th November. Next years senior club draw is more difficult for the Mayo winner. A quarter final v Leitrim winners and then a semi final v Galway winner. From a Balla perspective that’s a good draw, one game against one of the outsiders to make the final. Is that at a home, away or neutral venue anyone know? If Balla can get out of Connaught I think they’ll win the All Ireland. They’ll get a huge boost from their younger players being u19s/u20s rather than u18/u19s. I see Eamon O’Hara mouthing off as usual trying to get the Tourlestrane game against the Mayo senior champions moved to Tourlestranes’s home ground. In fairness it’s as suitable a venue as Enniscrone, which is a small facility on a narrow and windy country road, it says a lot about the state of Sligo football. Somebody should tell O’Hara that they have to beat Aghawillan first and that is no gimme. To think that a guy given to counting chickens before they’re hatched was looking for his county manager job is a bit of a joke. I presume that the Enniscrone ground is that sometimes called Quigabar where last January’s FBD game was to be played before being moved to Ballina. Why isn’t the county final on Sunday this year. AndyD – It’s Mayo champions vs Tourlestrane in the 1st round. Winner of that plays Aughawillan. Annaghdown with Damien Comer, Eoghan Kerin Ciaran Duggan and Frankie Burke will seriously push Corofin this weekend in Galway . They seriously pushed Corofin all the way last year in the semi final however Corofin haven’t lost a game in Galway for 5 years and will be surprising if they don’t get over the line again this weekend. Of course. Knew that but brain malfunctioned. Happens now and again despite my best efforts. Just been reading about Galway GAA’s disposal of their proposed development centre lands and the plans for a grandiose soccer centre on the same site. Whatever we may think about our own county board they are not that bad. Galway must be in some difficulty financially when they had to let that land go for what was probably not much more than agricultural value. That on top of the resignation of their County Secretary recently. Were the two connected? We will probably never know. Transparency in these matters is not a GAA thing. Unless Martin Breheny decides to shed some light on it. I won’t be holding my breath on it though. 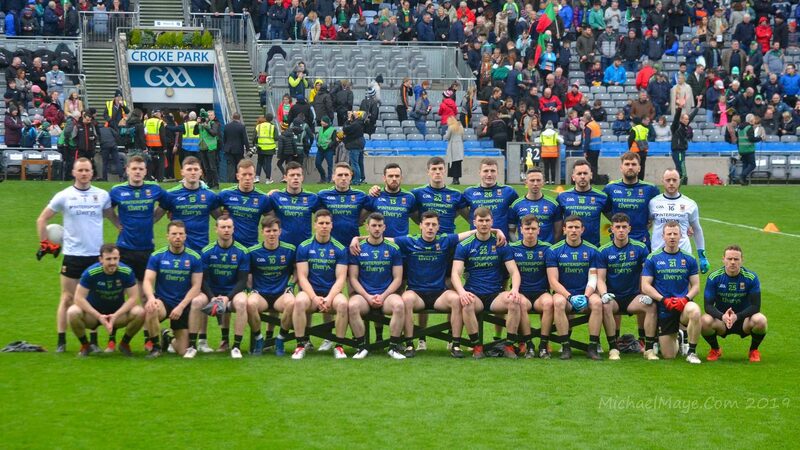 I seen Ballaghadareen play when Eamon O’ Hara was over them 2 years ago, they play played some shocking blanket defence football, 14 men behind the ball and alot of short handpassing.Sligo were lucky they didn’t give O’Hara the job.